Join the Easter Bunny for a day of fun and take a hayride through the countryside. *All children, 12 and under, can participate in each hunt, in the designated age group section. *Hunts start promptly at time noted, it is suggested you arrive 10 min prior to start time as not to miss out. 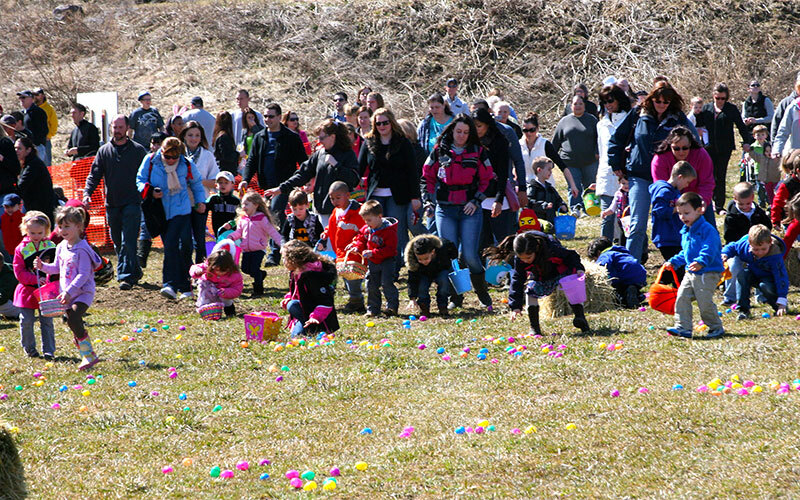 If you’ve ever been to an egg hunt, you know it doesn’t take very long for the children to clear the field. Food concessions and Kettle Korn will be available.